I guess it’s possible that Otis Redding would have squandered it. That all of the potential, drive and momentum he had built up over the short time he was a recording artist would somehow gone to waste. But I doubt it. Which is what makes his death — via plane crash like Buddy Holly & Ronnie Van Zant — such an incredible loss. Luckily(? ), he’d had a huge burst of creativity just prior to his death: what turned out to be nearly four albums — four good-to-great albums — worth of brand-new recordings for a grieving Steve Cropper to sort through, starting with the titanic and still-inescapable “(Sittin’ On) The Dock of The Bay,” which was recorded just days before and released less than a month after he died. It’s now 50 years later, and we all — or we should all — know every single note of this song, from the acoustic guitar opening to the whistling at the end, but it’s still an absolute marvel, a quiet masterpiece about trying to embrace an idleness that doesn’t quite fit. 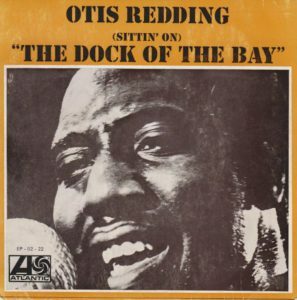 I’ve written a lot about the dexterity of Booker T & The MGs, but “Dock of the Bay” adds another aspect: their ability to lay back and just flow. 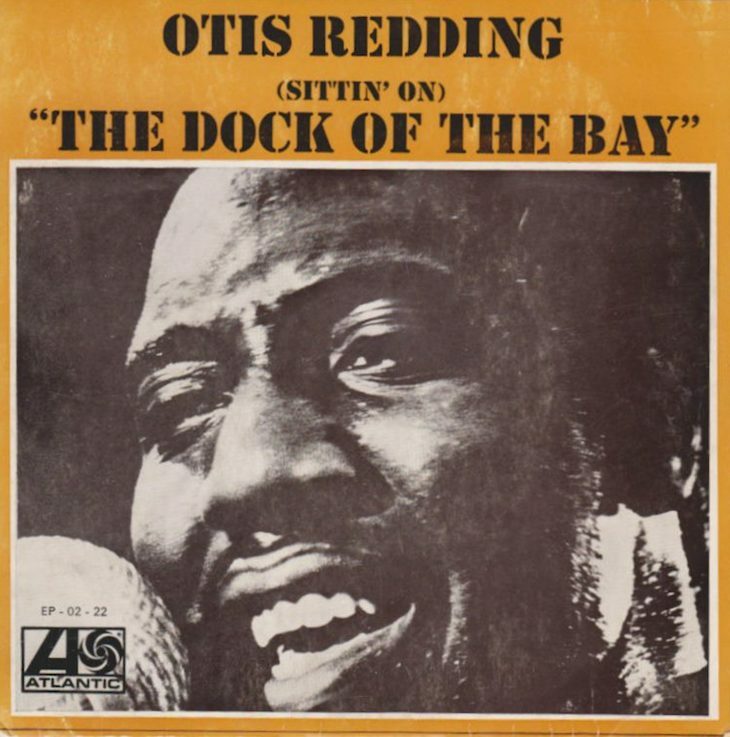 And I think that’s the secret of “Dock of the Bay” — it’s all about the melody and not really the groove. Yes, it’s impossible for a rhythm section featuring Duck Dunn, Al Jackson Jr & Booker T Jones not to groove, but the groove wasn’t the point. The ancient folksong melody — that had clearly been sitting in the ether since the beginning of time — that Otis tapped into, that was the point. And so he sang it softly, quietly, and prettily, for the first time trusting the song as much as the singer. Which is easy to do when you’re one of the greatest singers who ever lived, only raising his voice for the bridge, which also provided some insight on why he was even sitting there in the first place. Also: shout out to Steve Cropper, for not just providing backing vocals on the choruses with his guitar, but adding the sound effects that Redding wanted. They coulda been cheesy — hell, maybe they were — but they were just subtle enough to work. And Cropper was also smart enough to leave in the whistling part — which Redding did on his final take because he’d forgotten what he really wanted to do there. But that whistling — thin and imperfect — was incredibly important to the ethos of the song, and, even more importantly, it sounded like non-singers would whistle, so you or I could see ourselves staring out at the San Francisco Bay, whistling in order to keep our demons at bay. Confession: because I literally don’t remember a moment of my life prior to this song, I’ve tended to underrate it, especially compared to some of Otis Redding’s more dynamic performances that I discovered on my own. But it’s an insanely great song, and in a just world, it would have signified the beginning as opposed to the end.